Gone are the days of bright green and shiny lawns that signal fake grass. 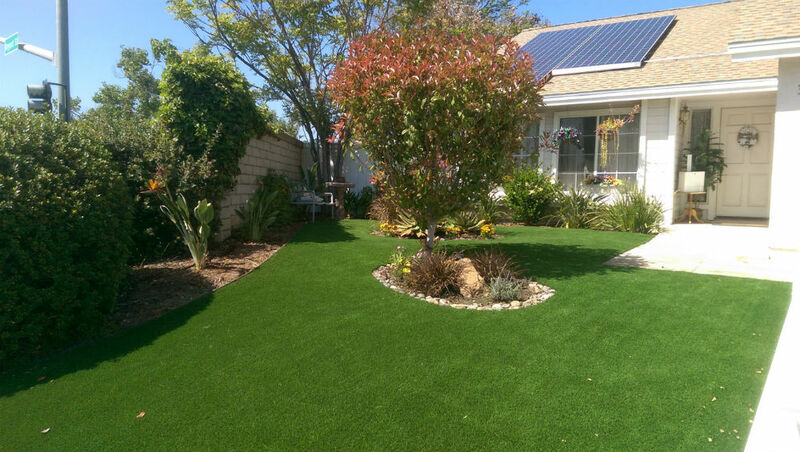 Homeowners can rest assured that artificial grass can look like the real deal or even better. If you’re already tired of high water bills, concerned about the drought and ready to make a change don’t let how you’re lawn will actually look hold you back. Here is how artificial grass can look like real grass, but without the maintenance and excess water. If you took a cross-section of your living lawn or simply separated the blades to take a look at it, you’ll see a brown layer near the roots. This layer is called thatch and it’s a mix of organic matter such as dead and living shoots and stems as well as a compound called lignin that make up the space between the soil’s surface and green stems. Artificial thatch is primarily what gives artificial lawns a realistic look because it adds a touch of brown to an otherwise too-green of a lawn. People expect to see it. Thatch even comes in a variety of colors to choose from and your installer will be able to advise regarding what type of thatch density is right for your project, because it also helps with durability in areas with high traffic. Grasses that grow well in your neighborhood might not be common in others, which is why artificial grass comes in a variety of colors and styles. If you prefer a tall Fescue or Bermuda grass, it’s possible to replicate in an artificial lawn, along with many other options. Grass blades vary in color, too. If your neighbors’ lawns tend to be a more yellowed-green than bright green, it’s possible to match lawns that are trending in your party of town (that is until your neighbors also replace their lawns). Some homeowners hesitate to get rid of their lawns because they like the way it smells, especially right after its mowed. It might conjure up memories of playing outside during childhood but scientists have proven that the smell of fresh grass may relieve stress, too. Not to worry… Global Syn-Turf has bottled the smell of fresh-cut grass and all you need to do is spray it on your new lawn and let it dry. The shape of each artificial grass blade in your lawn determines how light will reflect off of the blades and contributes greatly to the overall look of your grass. For example, residents in consistently sunny areas may choose a different blade shape than those in coastal fog. A flat blade reflects light in a manner that creates the consistently shiny (or fake) look that is so often associated with artificial lawns. (Note that any newly-installed artificial lawn will have more sheen than it will after it’s used for a while.) A grass blade formed in an M-shape reflects light in various directions which creates a more natural look as it avoids blanket reflection. One way to make sure an artificial lawn continues to thrive is by taking diligent care of it. Depending on how much foot traffic your artificial grass receives, you’ll want to occasionally groom it so that matting doesn’t occur. The best way to do this is by using a stiff bristled broom or rake over the fibers. Avoid brooms and rakes with metal bristles to avoid damaging the grass. If you have access to a power broom this can work as well too. High traffic areas will need this done more often so that the grass has an even appearance throughout. Cleaning your artificial turf lawn will not only extend its lifespan but will also help keep it looking fresh and new. To start, it’s important to use the very best infill (INSTALL-IT-DIRECT uses Durafill which doesn’t absorb external elements) to fight odors. Periodic rinsing of the lawn helps to eliminate bacteria and, similar to hardscape like pavers, tackling potential stains early helps keep an artificial lawn looking its best. Nothing screams, “fake lawn,” like one that isn’t used like a natural lawn. Go ahead and let your pets run free on it. Unfold a lawn chair and grab a beer to sip while the kids set up a tetherball on it. Challenge your mother in law to a game of lawn bowling. Be sure that patio furniture doesn’t have sharp edges that might damage the turf. 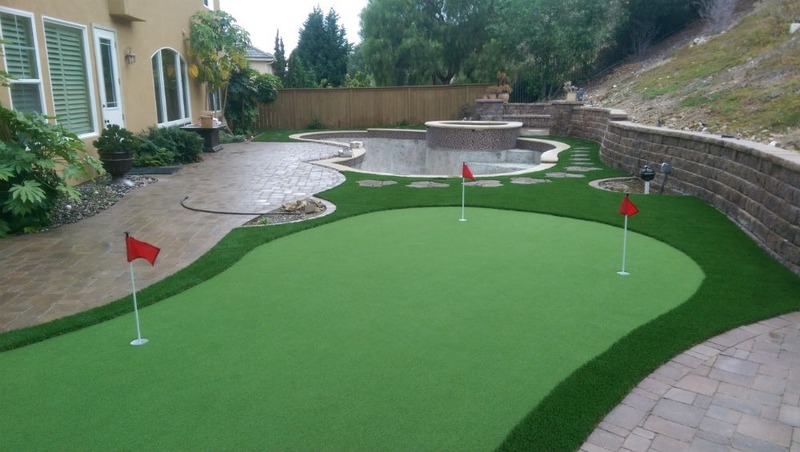 The artificial lawn you choose should match your lifestyle so use it! Not all turf is created equally so it is incredibly important to discuss your lifestyle and aesthetic preferences with your installer. And, your lawn isn’t going to look like real grass if the installation is sub-standard. For example, if your installer doesn’t perfectly match the seams, not only will they be unsightly and direct attention to your artificial lawn, the seams may be more likely to buckle or separate. The same issue applies to edges, too. Installation matters. If you’re worried about the cost of a quality installation, take a look at the HERO (Home Energy Renovation Opportunity) financing option. Also check to see if city or county rebates for lawn replacement are available where you live. If concerns about the feel of natural grass are holding you back, have your installer bring over a variety of samples. Improved technology has eliminated the rough feel associated with astroturf on a tennis court. 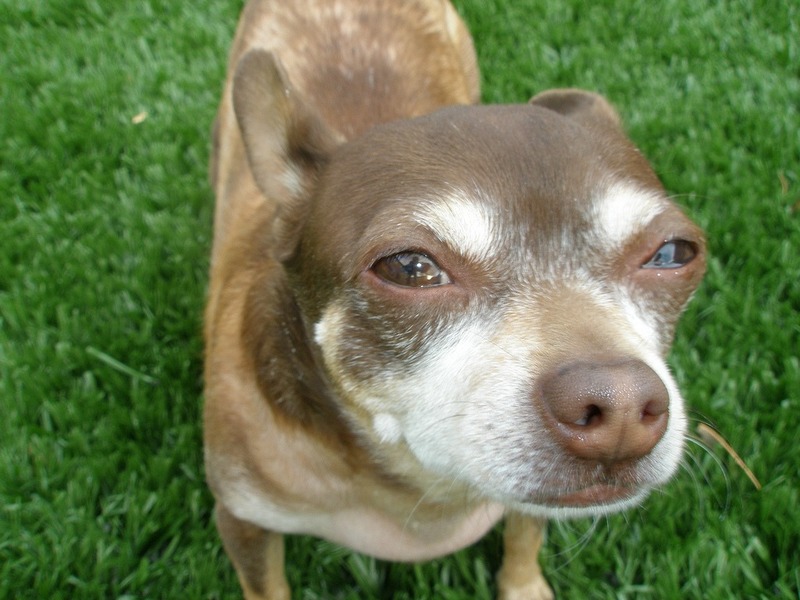 Depending on the type, artificial grass can have the same soft texture as a living lawn. What is keeping you from making the switch to artificial grass? We’re here to help.